A loaded Fender pickguard from 1974 in excellent , all original condition. The guard comes complete with all three original pickups, all original pots and switch. The guard itself is very clean with no cracks around the edges or screw holes. 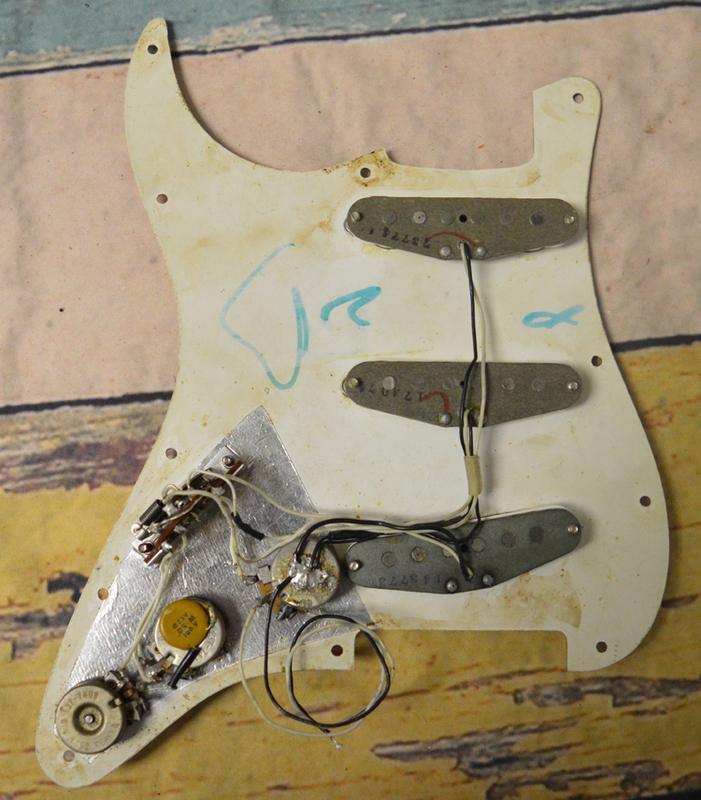 The original pickups are also clean and all of the wiring is firmly attached. The bridge pickup reads 6.07 K ohms, the middle pickup reads 5.62 K Ohms, and the neck pickup reads 5.61 K ohms. The pots and the switch function perfectly with no stickiness, and there is very little to no corrosion over all of the electronics. 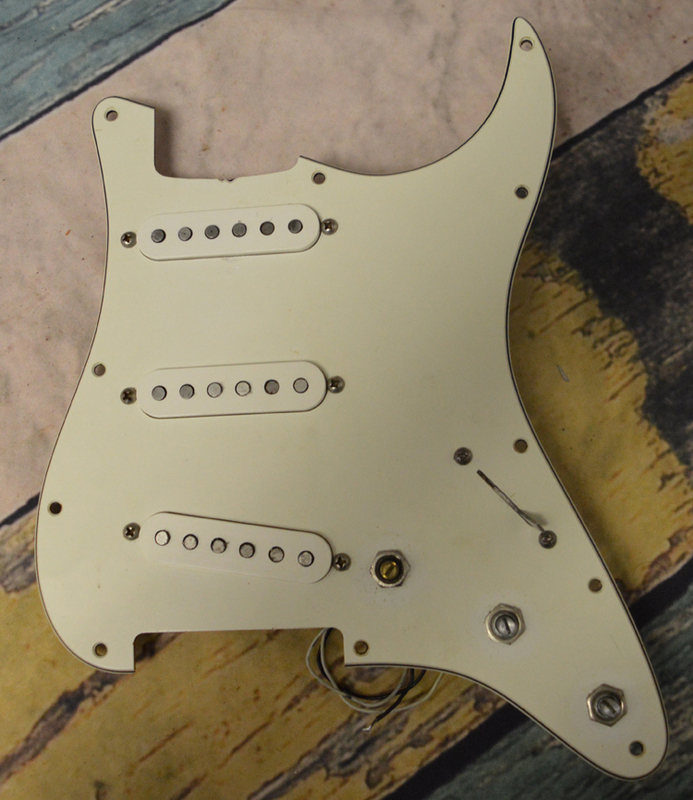 Interested In This Loaded Stratocaster Pickguard? Did you purchase the Loaded Stratocaster Pickguard? Feel free to submit a review. Reviews will be posted pending submission review and approval.